This Technical Report provides guidance for organizations in the application of ISO 9001:2000 to the acquisition, supply, development, operation and maintenance of systems and related support services. 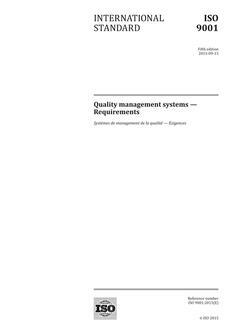 It does not add to or otherwise change the requirements of ISO 9001:2000. The guidelines provided in this Technical Report are not intended to be used as assessment criteria in quality management system registration or certification.